Candidates who appeared in the CBT test can check their ASRB Stenographer Result through above given PDF file. You have to download the above given PDF file and find you roll number in a total 1935 Selected candidates. Agricultural Scientists Recruitment Board also declared the result of ASRB NET 1 Examination on 24 may and now ASRB also declared the result of Steno Grade 3 CBT examination. ASRB also uploaded the category wise cut off percentile marks on their website so you can check your category percentile cut off marks in total 16 categories. 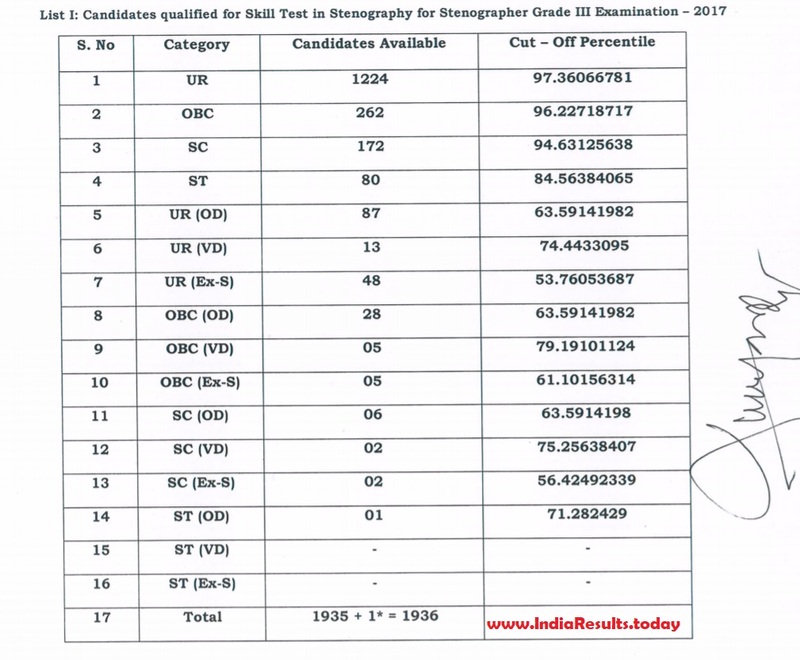 In this Cut off marks section the open question means Bonus marks given to all candidates. candidates should visit the official website www.asrb.org.in for information regarding the Steno Grade 3 and LDC examination. Airports Authority of India also declared the result of AAI Junior Executive examination on 29 may so you can check the result of it through our website Indiaresults.